‘Cheesegrater’ building at 122 Leadenhall Street – design based on Wolfram rule 122? 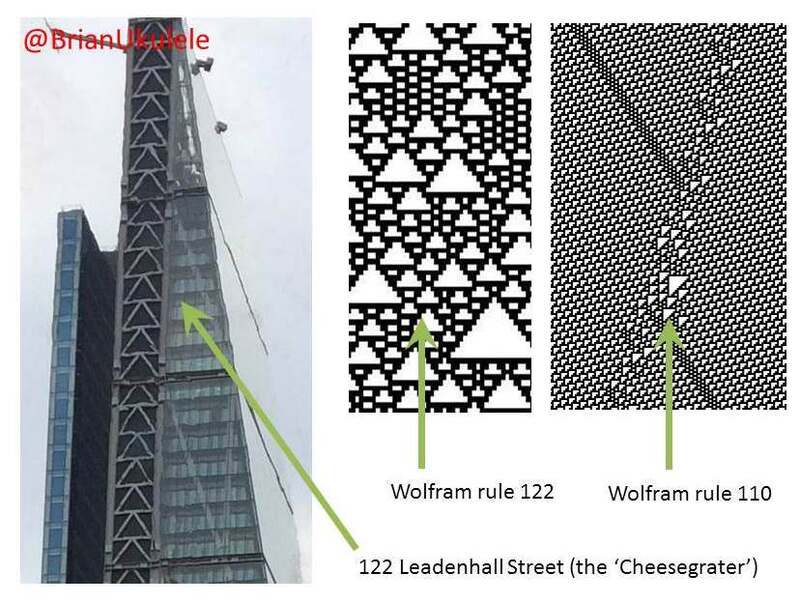 Am I the first to notice that the new ‘Cheesegrater’ skyscraper at 122 Leadenhall Street in London bears an uncanny resemblance to the cellular automata maths patterns popularised by Wolfram based on ‘Rule 122’? Richard Rogers, the architect, also seems to have added a few motifs from the more interesting ‘Rule 110’ which lies ‘at the edge of chaos’.